Facebook has now launched its new feature Instant Articles after touting it for some time. It is technically a format that lets users view news articles within the Facebook app rather than sending them to the publisher’s website. Initially, it will be available only to iPhone users. Publishers have raised concerns that the new feature will affect the traffic they have had been generating from the social site. Facebook has not only given up control over the publishers’ content, it has also allowed them to keep all the ad revenue from the new format. 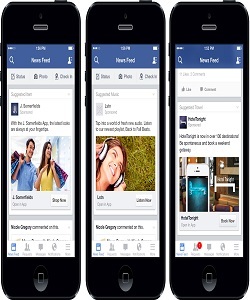 The feature will be allowing the publishers to enable a single banner ad unit. Facebook will also be providing analytics information that could feed into Adobe Ominture or Google Analytics. The social site will feed Instant Articles performance data into ComScore. This will allow publishers to keep a track over their traffic and user data through ComScore. With the option to offer ads from within Facebook, most publishers are expected not to have any issues losing out on their onsite traffic from the social site. For other news publishers who are concerned how the feature will affect their presence on the site, Facebook has said that the algorithm will not be promoting the new format over conventional links. The biggest advantage to the social network is that it will be able to keep its users in its app. They will no longer be going off the site to read news articles. 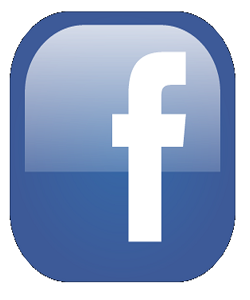 Facebook will however not gain anything financially from the program, at least during this initial phase. The company however plans to build stronger relationships with publishers. Besides, the social site wants to improve user experience on its website (something which Google takes too seriously). Currently, users who click on a news story are directed to the publisher’s site. This means spending more time for the site to load and letting its users go away. Facebook receives over 85% of its log-ins from mobile devices. The feature will initially be available only on iPhone. It may roll out the new format on Android in the next few weeks but hasn’t made any announcement. But it cannot keep its Android users waiting for long. However, desktop users will have to wait for a confirmation from the company. The social site’s ad revenue from mobile has continued to grow dramatically. Of the total ad revenue generated by the social network in Q1 2015, revenues from its mobile apps contributed 73%. The figure for Q1 2014 was 59%. On the other hand, publishers will also be able to benefit in ad revenues by getting prompt attention and engagement for their news stories. Facebook seems to have innovated well to move up in its social media story. It has continued to maintain its market dominance over the years even when several other social sites have faded away. The feature is now available on its iPhone app. I am a tech savvy graduate of ICT and business school. I engage in freelance content writing and specialize on the latest trends in the tech industry all over the world.